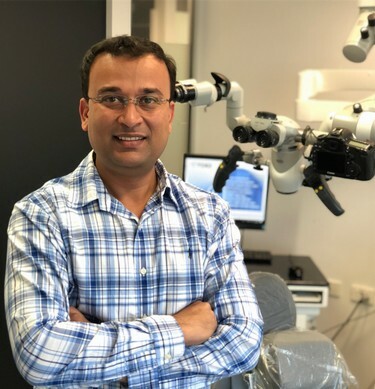 Dr. Shalin Desai has completed Doctor of Clinical Dentistry, specialising in the field of 'Endodontics' from the University of Otago, New Zealand. Prior to specialisation, Dr. Desai has spent considerable time practicing General Dentistry in public and private dental practices in Sydney. Dr. Desai holds an honorary clinical educator position with University of Sydney and staff specialist position at Westmead Dental Hospital. Dr Desai shares his clinical knowledge and experience with undergraduate dental students as well as local dentists in continual educational lectures and courses. Dr. Desai has published several scientific papers in international journals and is passionate about providing the highest quality of evidence-based endodontic treatments. His special interest is in Endodontic Emergencies and Re-treatments. Dr Humza Ahmed completed his dental qualifications in 2011 at Griffith University in Queensland, receiving numerous Academic Excellence Awards. He then worked in private dental practice in Sydney and Wollongong for several years before pursuing specialist endodontic training in 2015. He received a Doctoral Scholarship for his specialty training completed at the University of Otago, New Zealand. Throughout his postgraduate training he was a clinical supervisor and examiner of dental students and completed a thesis titled “The effect of an additional application of sealer during continuous wave of condensation obturation.” The findings of his research were presented internationally at the European Society of Endodontology’s Biennial Congress in 2017. 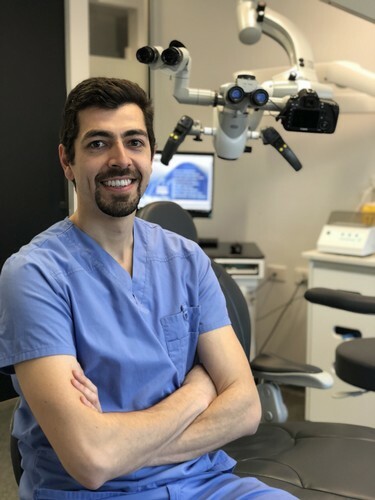 Humza is a friendly and down-to-earth specialist endodontist that is currently a member of the Australian Society of Endodontology and the Royal Australasian College of Dental Surgeons.